When an organization has a major anniversary, such as Harvard Law School’s Bicentennial, a window of opportunity opens to draw out stories spanning decades of experience. With Harvard Law School (HLS), we provided a portable Storykiosk to set up at alumni gatherings and other special events such as the HLS Celebration of Black Alumni. The stories gathered were remarkable — alumni are very motivated to reflect back and share their experience. 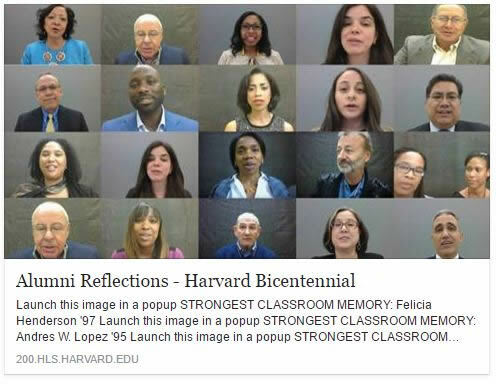 You can see some of the stories gathered in the link below to the HLS Bicentennial website. What was your strongest classroom memory? What difference has HLS made in your life? What was the most important thing you learned at HLS? What was your best experience outside the classroom? 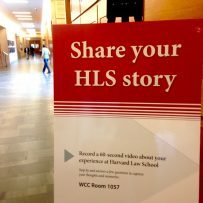 We’re currently working with HLS to add an even wider base of stories to the mix using our online story recording system — HLS sends an email out to alumni inviting them to record their story on their own smartphone, tablet, or laptop, pulling a much wider pool of stories into the mix. We’ll keep you posted as the stories evolve.